KPMG has been inspecting General Electric's books since William Howard Taft was president of the United States. GE (GE), after a disastrous year that included an SEC accounting investigation, is now under fire to dump KPMG as its auditor. Shareholder watchdog groups worry that GE and KPMG have become too cozy during their 109-year-old relationship. Both Glass-Lewis and Institutional Shareholder Services are urging shareholders not to ratify KPMG as GE's auditor at the company's annual shareholder meeting on Wednesday. "This extensive tenure has thrown KPMG's effectiveness and relationship with the company into question," Glass-Lewis wrote to GE shareholders. ISS said that GE shareholders must beware that a "long-tenured auditor can become too close to a client," while a new auditor can "uncover problems previously unidentified." The KPMG question is one of several facing GE shareholders after a nightmare year. A mounting cash crisis, caused by countless bad deals, cut GE's stock price and coveted dividend in half. GE could even get kicked out of the Dow Jones Industrial Average. GE's earnings report last week offered a glimmer of hope that the turnaround plan developed by CEO John Flannery may be starting to work. But the maker of jet engines, light bulbs and MRI machines still faces lingering questions about its accounting tactics. In 2009, the SEC charged GE with accounting fraud, alleging the conglomerate used "overly aggressive accounting" to make false and misleading statements to investors. GE paid $50 million to settle the charges, but it neither admitted nor denied wrongdoing. In November, the SEC notified GE of a new investigation into the company's accounting. The probe focused on how GE books revenue from contracts to service the products it sells. The SEC expanded the probe in January after GE shocked Wall Street by revealing a $6.2 billion loss on a portfolio of long-term care insurance policies. 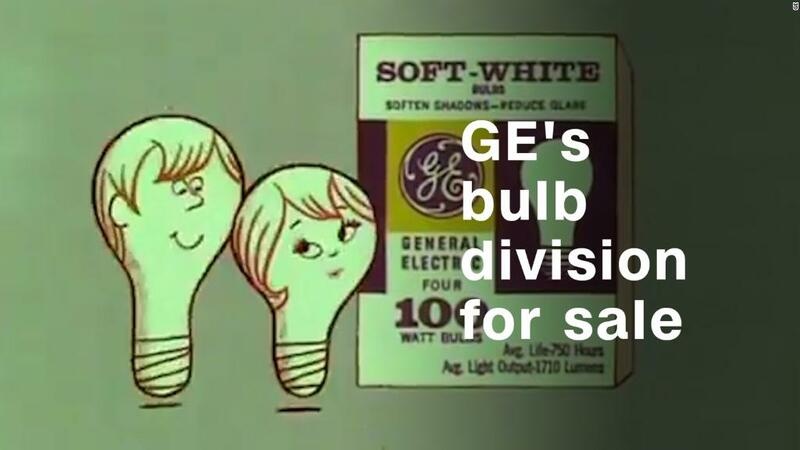 GE is cooperating with the dual-pronged SEC investigation. Bringing in a fresh set of accounting eyes could help reassure shareholders whose confidence has been dented. Public companies in the European Union are required to rotate out their auditors every decade. "If I were a GE shareholder, I would vote for a change," said Jonathan Macey, a corporate law and finance professor at Yale Law School. "People are reluctant to admit error. If you bring in a new audit team to look at GE, they're not going to hesitate to say changes must be made," said Macey. Questions about accounting are nothing new at GE. Under former CEO Jack Welch in the 1980s and 1990s, GE routinely beat Wall Street's earnings expectations by just a penny. "That is a huge red flag," said Macey. KPMG has been under scrutiny itself lately. In January, six accountants, including former employees of a US regulator, were charged with leaking confidential data to KPMG. The SEC said the sensitive information helped KPMG clear regulatory inspections at a time when the firm was under pressure to clean up its audit record. GE isn't the only embattled company KPMG has audited for an extremely long time. The firm has been Wells Fargo's auditor for 87 years, according to Glass-Lewis. Wells Fargo (WFC) is under fire for a series of customer abuses, including the fake-accounts scandal that went on for more than a dozen years. "KPMG has mud in their faces. They should have caught the problems at Wells Fargo -- and General Electric as well," said Randall LaSalle, a certified fraud examiner and associate professor at the John Jay College of Criminal Justice. In filings, GE defended its decision to stick with KPMG, noting the benefits of a "long-tenured auditor" include "deep expertise" and "familiarity" with the company's vast business empire. By contrast, GE notes that hiring a new auditor would take time and resources away from management. GE also highlighted "independence controls" on KPMG, including "thorough" oversight from the board's audit committee, limits on the types of non-audit services KPMG can provide and requirements that the lead KPMG partner be rotated every five years. LaSalle agrees with GE that hiring a new auditor unfamiliar with the complex company could be risky. "New players won't know who's who. It won't solve GE's problems," said LaSalle. Another solution being offered up for GE's issues: Split the company's CEO and chairman roles. ISS and Glass-Lewis are urging shareholders to vote in favor of a proposal requiring GE to have an independent chairman who would oversee management. Such a move would force Flannery to relinquish the chairman title. GE has said such a shake-up is not needed because the board already has an independent lead director. The current structure, GE said, provides "effective oversight and governance." ISS disagrees. The firm said GE's "long-term underperformance and concerns about its business model and corporate culture" show that shareholders would benefit from "more robust" oversight.